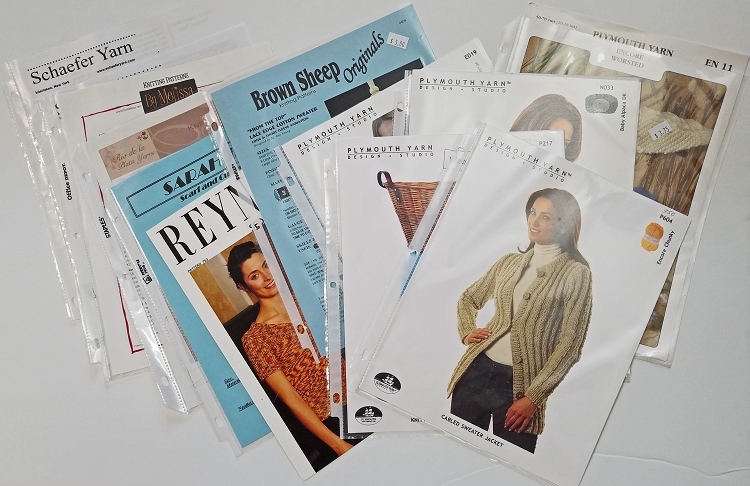 A dozen designer patterns from well known companies, each one different, for well under a dollar each! I have hundreds of hard-copy patterns that came from closed yarn shops, and I'm offering them at a bargain price to clear them out. There are patterns of every type: women's pullovers, cardigans, and vests; men's sweaters; children's clothing; accessories; socks; shawls; and even a few toys. As long as the supply lasts, I'm offering a choice of women's, men's, children's, or a random mixture. The minimum value of one of these packs is $60! Check the site for clearance sales on other designer patterns as well.